Giving Children Hope is grateful to have so many volunteers who are dedicated to and pour their hearts into our mission. Leora Jones is one such volunteer who is extremely warm-hearted and continues to make a huge impact through the variety of projects she helps to complete. Leora first heard about us five years ago through some friends of her husband’s when she was working for Conagra. While working there, she helped to create a stable partnership between Conagra and Giving Children Hope which continues to this day. About a year and a half ago, after Leora was no longer with the company, she contacted GCHope to start volunteering. While the original intent was to help in our We’ve Got Your Back program, she ended up helping the Domestic Program’s Director with a multitude of special projects which have helped to grow the organization. Among those projects, Leora has worked with GCHope staff to develop a volunteer database, as well as improve upon ways to quantify We’ve Got Your Back’s impact. 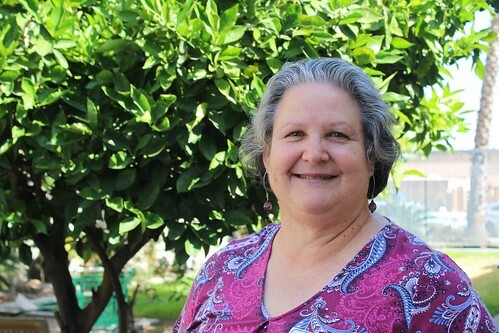 When she is not working part-time or volunteering, Leora loves to watch Angel’s baseball games and do genealogy. Since she was adopted, she has been completing a family tree based on genetics and bloodlines (she already completed one for the family who raised her), resulting in finding over 1,000 people whom she is related to. While Leora expressed that she is very appreciative of what Giving Children Hope does, it is us who are grateful to her for all of the time and hard work that she continues to dedicate to our mission of hope. It is volunteers like Leora, who help to make Giving Children Hope the inspiring place that it is. If you’d like to become a volunteer at Giving Children Hope, you can visit www.givingchildrenhope.org/volunteer.